A shockingly intimate look at the world of honor killings, as seen through the eyes of both the perpetrators and the victims. What drives a person to murder their sister, mother, or daughter? What is life like in a society in which women are imprisoned for their own "protection," while their potential killers walk free? 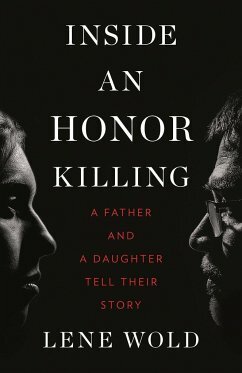 In this powerful and affecting book, writer and journalist Lene Wold offers a rare window into the world of "honor killings"-the controversial practice that sees more than five thousand women murdered at the hands of close relatives each year, all to restore their family's reputation. Wold spent more than five years in Jordan, visiting prisons and mosques, reviewing newspapers and judicial archives, and interviewing imams, village elders, and other locals to understand these violent acts. But she also spoke with the killers themselves, including a man who murdered his mother and daughter and attempted to kill his other daughter. In Inside an Honor Killing, Wold shares what she learned, weaving a shocking tale of honor killing told from the perpetrators' perspective as well as the victims'.